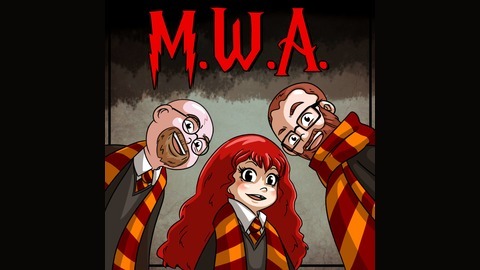 We're reading the Harry Potter novels and podcasting about them! 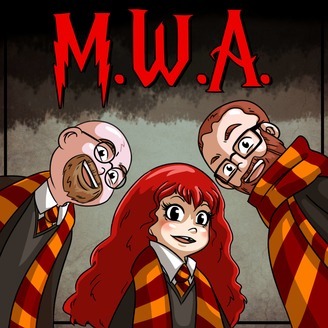 Join us as we walk down the halls of memory and of Hogwarts, Hoggy Warty Hogwarts! We are Alice Sullivan (@alicemsullivan), Micah Sparkman, and Jeff Lake (@jeff_lake). We watched the Prisoner of Azkaban movie! Basically everything has changed except the actors (mostly). Our favorite part is Gary Oldman screaming at the camera over and over. We are Alice Sullivan (@alicemsullivan), Micah Sparkman, and Jeff Lake (@jeff_lake). Music: Backyard Adventure by Hans Hylkema, licensed under CC-BY 4.0.